What’s your morning routine? Do you sip a fruit tea after your ashtanga session, or grab a wheatgrass smoothie on the cycle to work? Or perhaps you can’t focus ’til you’ve had your Americano (with an extra shot)! 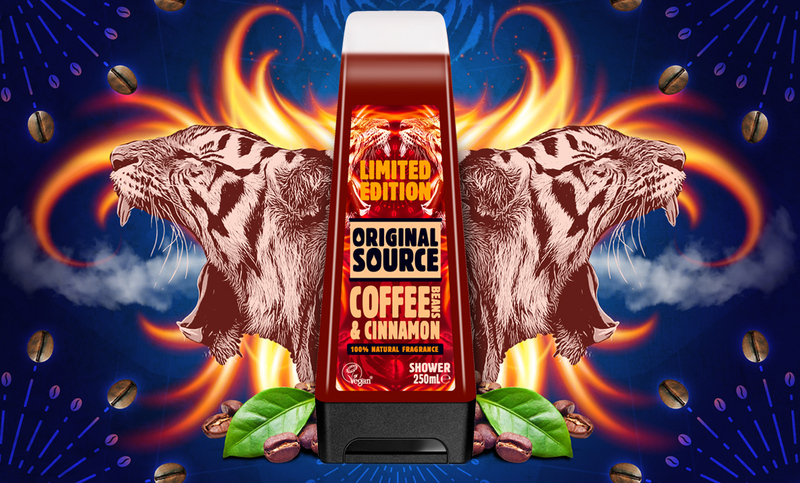 Hark was approached by Original Source to translate their new campaign onto 3 Limited Edition bottles, which was to be put to an online vote for Facebook fans. The winner would then be available in stores across the globe. As a Limited Edition, differentiation from the core range was key. 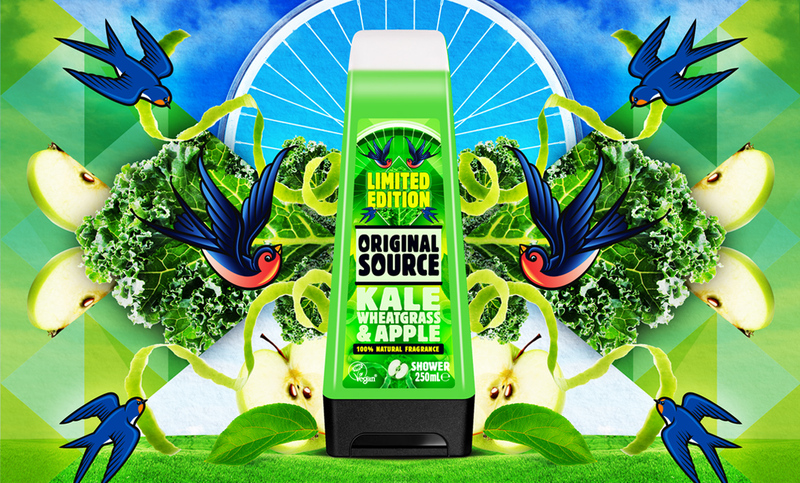 We utilised the full label area available, and brought the graphics to life with vibrant, type colours. 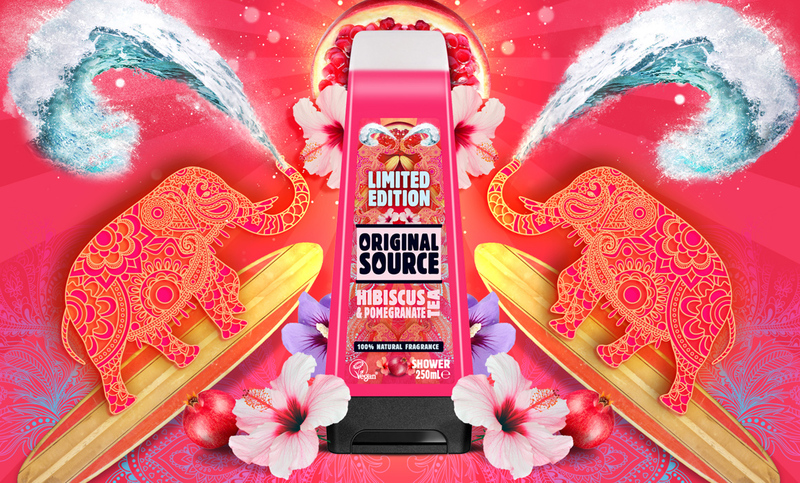 The campaign saw 394,364 Facebook fans vote for the new Limited Edition, with the zenned out exotically fruity Hibiscus and Pomegrante Tea crowned the winner.